, I wasn’t sure what I wanted to do with our fireplace mantel decor. Looking for a frugal fix as usual, I was pretty sure paint was in our near future. I just couldn’t decide exactly what color to choose or how I would decorate it once the update was complete. So it was time for a little inspirational research on the best way to spruce up our fireplace mantel decor. Seriously, is anyone else as addicted to Fixer Upper as me?! An easy way to check to see if your fireplace mantel decor is headed in the right direction and a great way to find inspiration, is to take a peek at this great diy fireplace mantel picture below. I love how it goes through the steps of what you should look for and designs you should focus on. 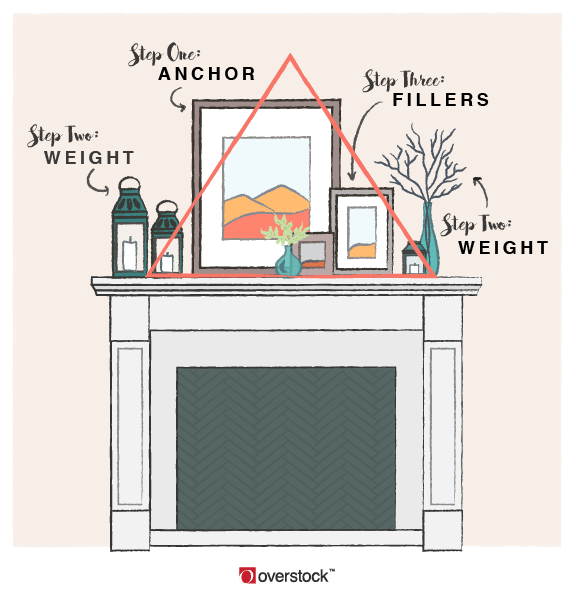 A similar diy fireplace mantel picture above shows you another way to think about what you should focus on for fireplace mantel decor. It’s a simple way to figure out your focal point and what you should be thinking about to fill the space around it! 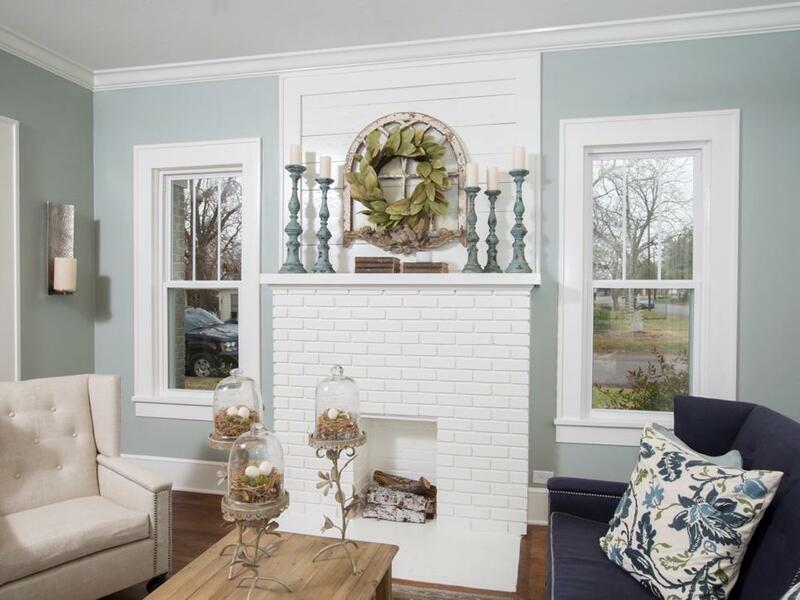 Here are my favorite Fixer Upper fireplace mantels you can create on a budget. These are some great fireplace mantel decor ideas that really caught my eye, so I thought I’d share what I found. I searched high and low for decor similar to what was used…like 2 days straight! To hopefully save you some time, I linked to all of the elements I found for each fireplace mantel idea below. If you would like to take a look at my favorite farmhouse decor finds you can see them here. I just love this bright and fresh fireplace mantel decor. The entire living room feels light and airy with the white brick fireplace. Simple fireplace mantel decor draws the eye to the focal point of the room with rustic finds and tall candlesticks. I just love this! A wood fireplace mantel contrasts beautifully on this white brick fireplace! 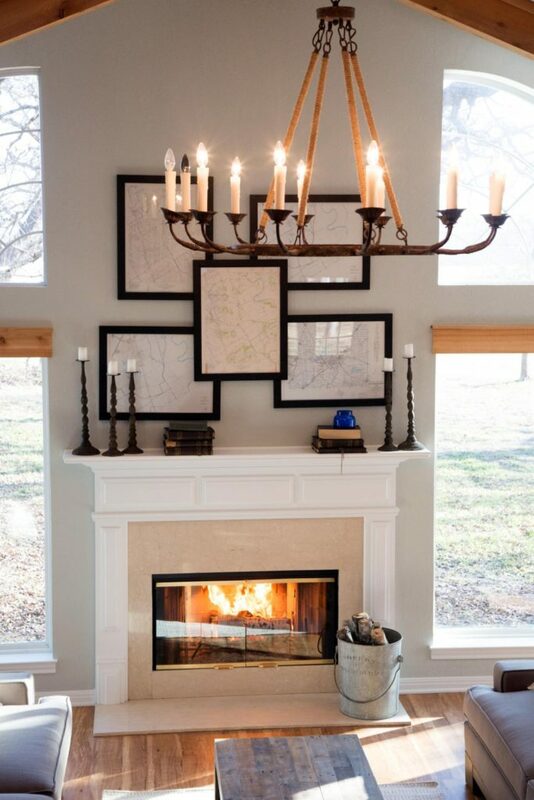 The actual fireplace mantel decor is simple, yet invokes an elegant feel to the entire living room! Rustic fireplace mantels are probably one of my favorites, and this solid wood fireplace mantel doesn’t disappoint! I love the reclaimed wood that was used, along with simply using pictures and candle holders to finalize the fireplace mantel decor. 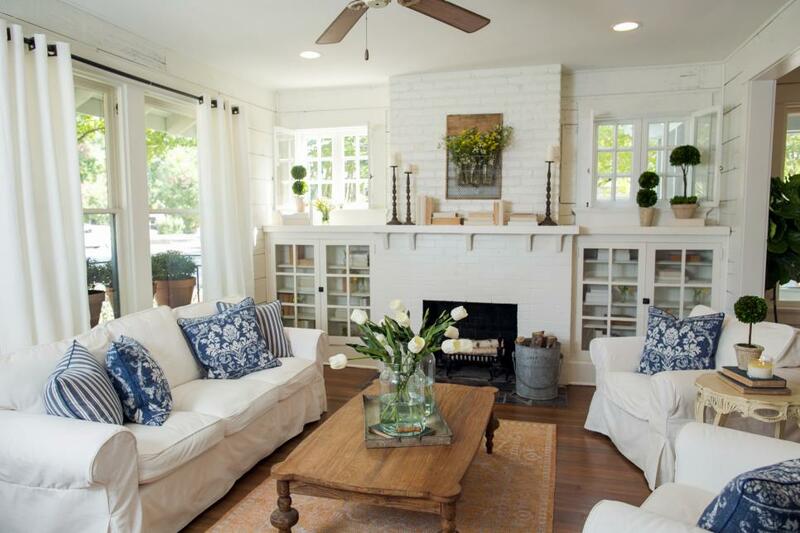 An all white living room needs a little pop of color when you’re looking for fireplace mantel decor! While I might personally opt for some colored candles, I love the simple focal point that was created by adding the plants above the fireplace mantel. 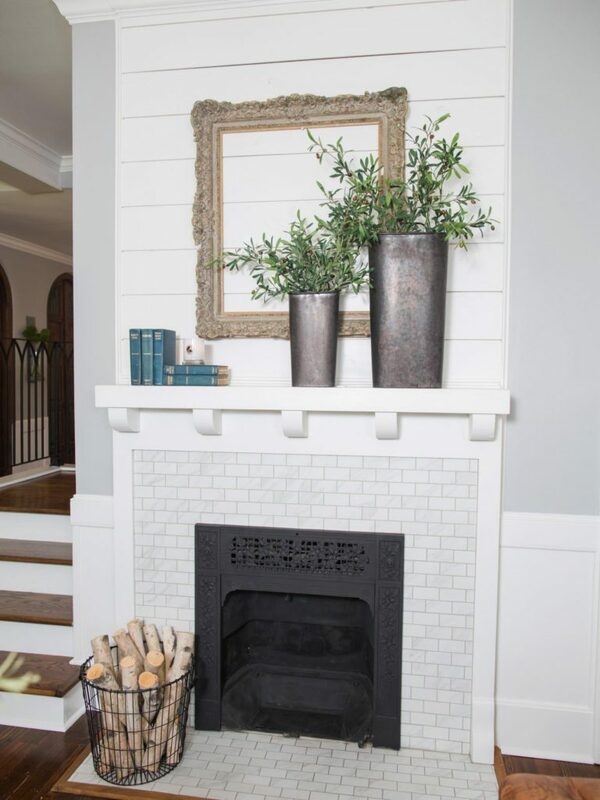 White, simple and classic are the core concept of this fireplace mantel decor. 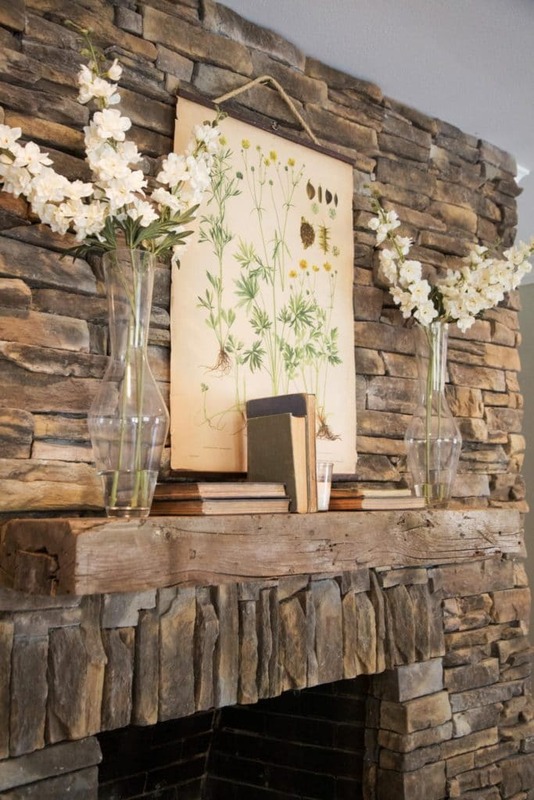 Simple books, along with greenery in rustic vases, complete the look on the fireplace mantle. I also just love the large, classic vintage frame that creates the perfect focal point in the living room! 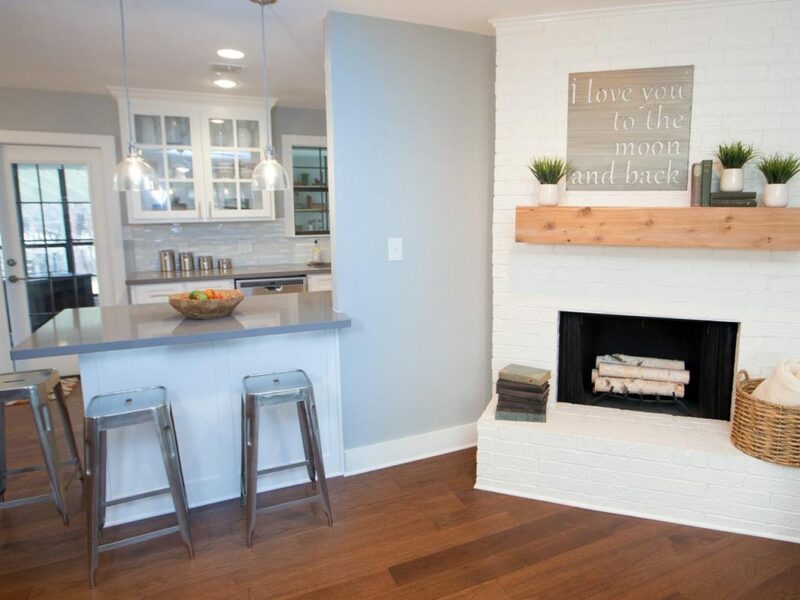 Clean, classic and simple are the key concepts in this diy fireplace mantel! A large, wood fireplace mantel is easily the focal point and is a beautiful mantel shelf! Fireplace mantel decor includes simple designs, with a great metal sign that serves as the main item for the fireplace mantel. 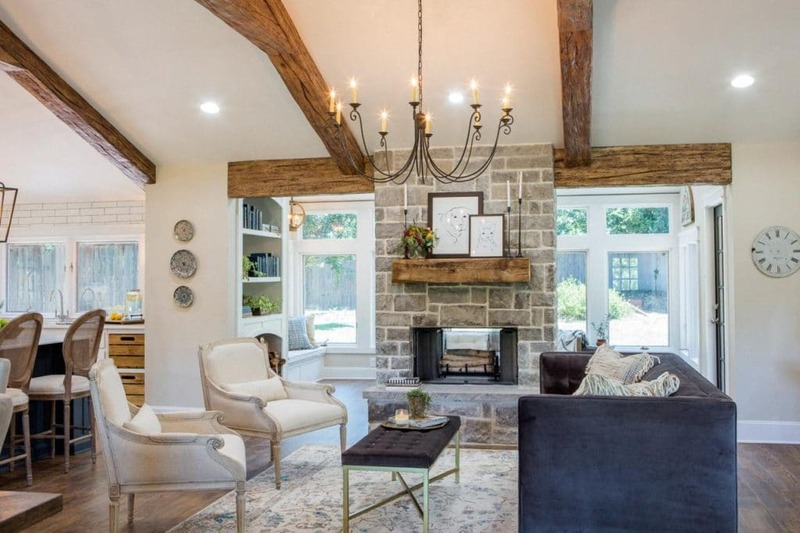 The stone on this gorgeous fireplace surround is stunning, but the reclaimed wood steals the show! 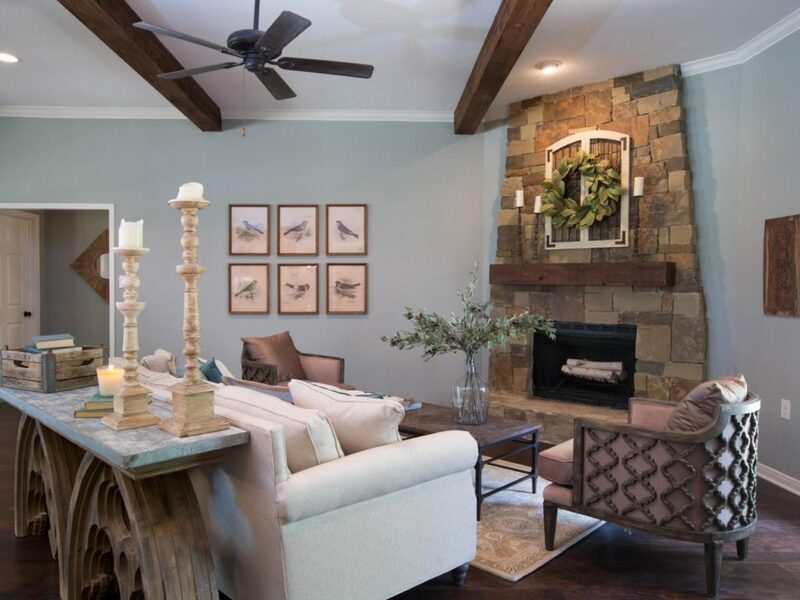 This rustic fireplace mantel is absolutely everything, which means you don’t want to overwhelm the natural beauty with too much fireplace mantel decor. I love how simple white flowers are used to soften up the stone facade. Incredible! Another rustic fireplace mantel gives me all the feels in what can easily be a diy fireplace mantel. I love the greenery, along with the white candles and white vintage window frame, that completes the fireplace mantel. It is a beautiful way to complement the dark reclaimed wood that was used. And of course, birch logs were used to accent the fireplace and brighten it up too. 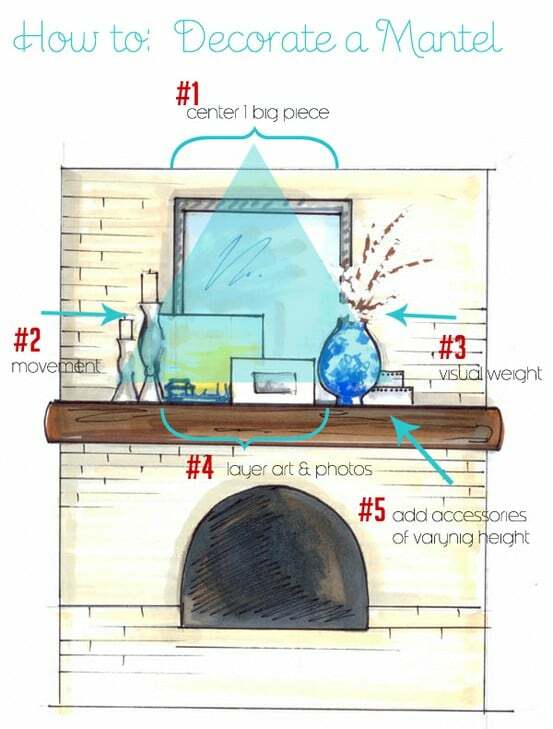 I just love the uniqueness of this fireplace mantel decor – blueprints of your home! Maps of your local area or favorite destination could also be used and would create the same great effect. All that’s needed are a few additional simple accents like thin candlesticks and vintage books to make sure your focal point remains the star of the show. After looking through all these beautiful fireplace mantel decor options, I think I now know exactly what I would like to do for our decor. For the actual update of our fireplace we’ll be painting the brick cream, adding a medium stained wood mantle, and giving our wood-burning insert a fresh coat of black heat-resistant paint to cover the scratches and get rid of the dated brass accents. As for the decor, I LOVE the last fireplace mantel idea above since we are lucky enough to actually have the original blueprints of our home. 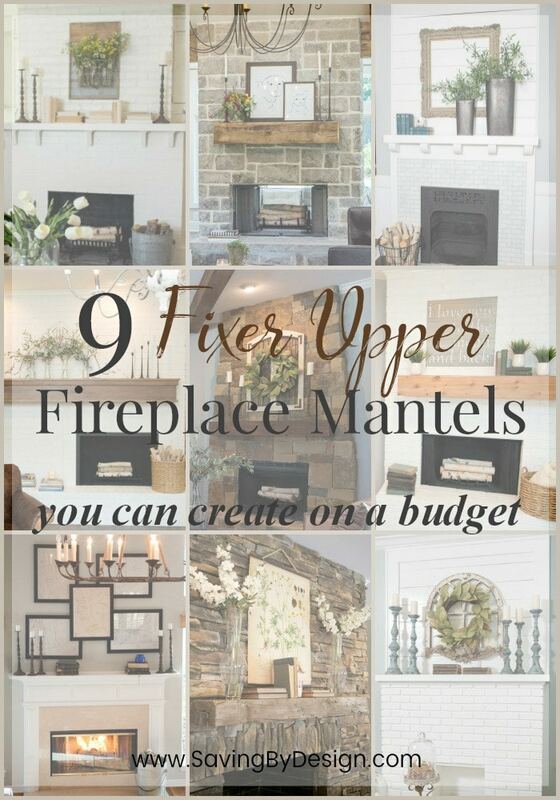 My plan is to create a blueprint collage and mix it with the second mantel in this post since our fireplace is pretty big and will need a little extra something so it doesn’t look empty. 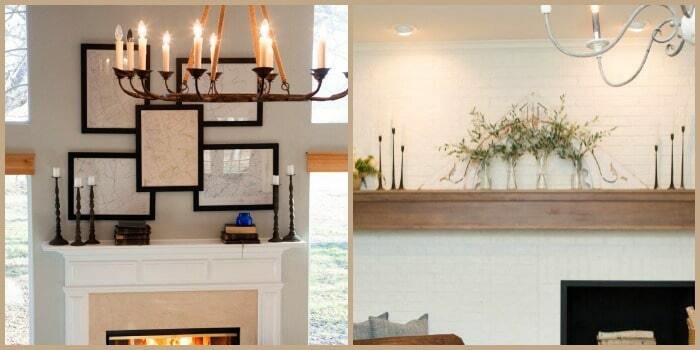 So which Fixer Upper fireplace mantel decor idea stole your heart? I would LOVE to see your finished fireplace mantel in the comments below! 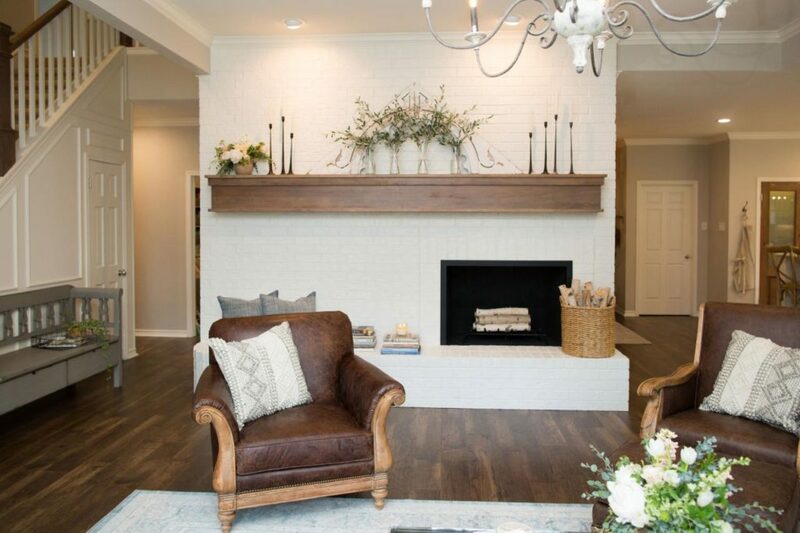 You can find all of the fireplace photos in this post and many more in the HGTV Fixer Upper photo library. How do you hang the middle picture on the mantel piece. I must have the bronze chandelier shown in the third idea. Where did u purchase it?